The British Society for Immunology Congress 2019 will take place on 2–5 December 2019 in Liverpool, UK. This is the UK's premier immunology event attracting over 1,000 delegates to enjoy our extensive 4-day programme of cutting edge research from leading UK and international researchers. Our Congress Committee are currently hard at work to put together an inspiring programme covering the breadth of immunology and focussing on hot topics. We're delighted to announce Professor Doreen Cantrell will be our keynote speaker! 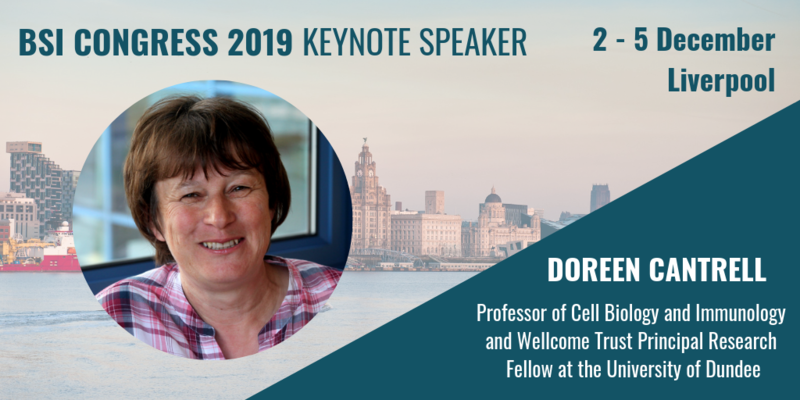 We look forward to welcoming you to Liverpool and an exciting, innovative mix of the highest quality basic and translational immunology research from around the world. If you are interested in sponsoring or exhibiting at the British Society for Immunology Congress 2019, please contact our Head of Events, Jane Sessenwein.